On 3 March 2016, The Ministry of Education released the Kenya Certificate of Secondary Education (KCSE) results. We were very pleased to learn that Winnie passed her exams and achieved the marks she needed to qualify for a place at university. The Kickstart team are proud of Winnie for her achievements, which have come about from her own hard work and dedication to her studies. She is truly setting a great example for the girls at Olturoto Childrens Village (OCV) and is a brilliant role model. In December 2015, we announced that Winnie had accepted a paid position at OCV, after high school, as a tutor to the girls and was learning admin and computer skills before she starts university in September 2016. To read more about Winnie's journey with Kickstart, click here Winnie passes high school exams - gains place at university. You may have read about Winnie’s, one of our older beneficiaries, and her amazing journey in an article A Reflection from the Frontline of Hope by one of Kickstart’s directors Daniel Street. Winnie has been under Kickstart’s wings since she was nine years old and she recently completed high school. We are overjoyed to share that Winnie just joined the team at OCV as a tutor as she waits to start university in 2016! What an amazing story of courage and transformation. From being a beneficiary herself to impacting lives of other girls in similar circumstances she was in. Whilst at OCV, Winnie will help the children with their homework on a day to day basis as well as provide extra tuition in English and Maths. The girls have taken well to her and are so excited to have a “big sister” to look up to. To them, Winnie is more than just a tutor. She represents the positive trajectory their lives will take as a result of their interaction with Kickstart. In Winnie, they can witness the sheer possibilities of a transformed life ahead of them as they continue to journey with us. Indeed, Winnie is a symbol of promise and opportunity. During her time at OCV, Winnie will also get exposure to basic office duties and will also attend part time computer classes in preparation for her University studies. Kickstart is pleased to welcome Esther Kingori as the new Farm Manager at Olturoto. Esther Kingori is an agronomist with 15 years’ experience working within the agricultural industry in Kenya including nine years at horticultural giant East African Growers where she held various positions and managed over 100 acres of land at various farms within the company. Esther brings on board her expertise growing various crops and herbs for export and local consumption e.g. snow peas, sugar snaps, chilies, French beans, sage, thyme, basil, watermelons, onions, tomatoes, cabbages, capsicums, cauliflower, broccoli and sweet corn. She has also successfully managed her own 31 acre farm. Esther's primary role will be to ensure that the farm is operating at optimum profitability in order to attain financial sustainability will which allow us to support the children at Olturoto. She will also ensure consistent supply of vegetables and fruits for the home contributing to the children's nutritional wellbeing. 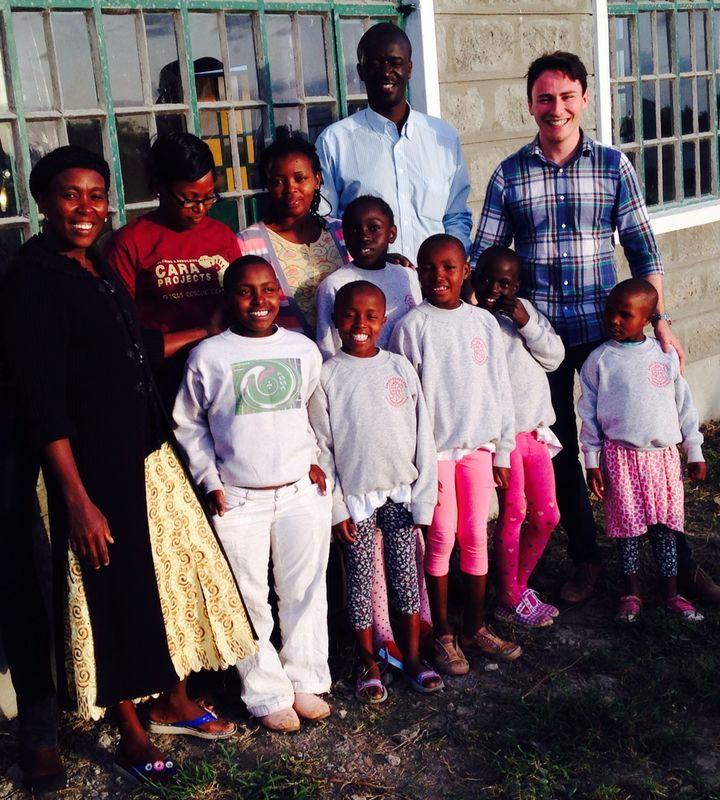 Esther has joined the team in Kenya at a critical time as we prepare to take in additional children in 2016. The farm remains a significant focal component of our sustainability strategy in the operations in Kenya. We believe Esther has the right skills, attributes and technical knowledge to make a difference. We wish her the very best as she continues to settle in and look forward to seeing great results on the Farm. Kickstart Board Director Daniel Street has written about his personal experience working with Kickstart in a moving essay titled A Reflection from the Frontline of Hope. The essay provides a unique look into the experiences of the kids that have been helped by Kickstart and the work that Kickstart is continuing to do. In particular, Daniel explores Winnie's journey with Kickstart, from a nine year old orphan in a slum in Kayole to an 18 year old young woman in her final year of high school looking to the future and her aspirations of becoming a doctor and helping others. Click here to read the essay. About Daniel: Daniel Street works in Global Economics and Strategy for the private-sector arm of the World Bank, International Finance Corporation, in Washington, D.C. He has served on the Australian Board of Kickstart Kids International Ltd since 2013. Once again, Kickstart has been the target of fraudulent activity. A group in Nairobi are pretending to represent our management team and offering positions within our organisation for a bribe. Kickstart is not hiring at the moment. Any legitimate recruitment drives run in the future will be advertised publicly through Nairobi newspapers and verifiable via our website.